MDK 2 is a Sci-Fi Shooter game, developed by Beamdog and published by Interplay. 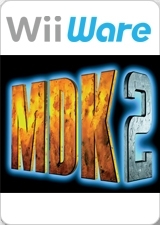 A port of the Bioware's Dreamcast third person shooter, MDK2 is the sequel to Shiny's MDK. In the first game you played space-janitor Kurt Hectic as he single handedly defeated an alien invasion on planet Earth using only his bare hands and a high-tech coil suit which made him a one-man demolition team. Now the aliens are back! This time you must out-think, out-snipe out-and shoot them across ten zany mind bending levels. Play not only as Kurt, but also as his employer the mad scientist Dr. Fluke Hawkins and his latest invention, the six-legged cigar-smoking canine, Max. Featuring quirky humor and comic book style presentation, the game has been refitted to work smoothly with the Wii remote and nunchuck for a unique comedy-action adventure that has gained classic status over the years. 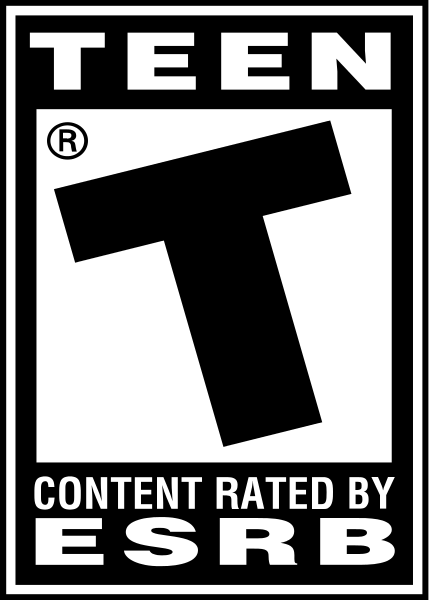 The original game's difficulty has been addressed in this port with the addition of quick-saving as well as the difficulty levels from the PS2 version. I could have swore this was a DReamcast game at soem point? 3D games on WiiWare! You know I am there! awesome game! must have on wiiware! !